Loot Crate | Amy C. Amy Do. I remember watching Die Hard when I was around fifteen and thinking there was something wrong with me. John McClane was great and all with this quick wit, boyish swagger, and unflagging devotion to upholding the law (even while breaking a good forty dozen of them in the process). But I couldn’t keep my eyes off Hans Gruber. 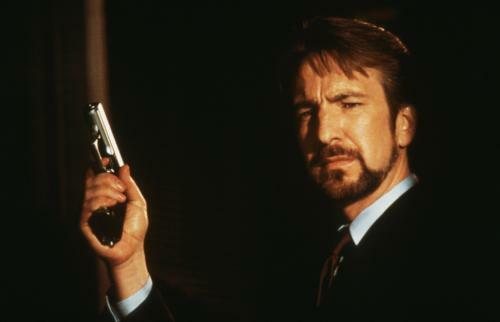 So thanks to Alan Rickman, I developed an unnatural fondness for brilliant, suave bad guys. The kind of guys who could kill you with Shakespeare. If they have dark hair and a British accent, then it’s all over but the cryin’, and there will be cryin’ because a gal who loves the villain rarely walks out of a movie happy. I’m sending my therapy bills to you, Alan. In a big box. That also contains myself. 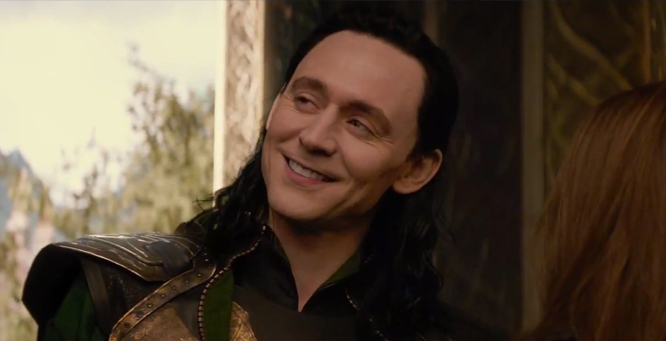 Speaking of aliens, I am hoping that Loki’s character arc in the latest series of Marvel movies ends up with him as a pseudo-hero. So far he’s gone from being a good-if sneaky-guy turned bad (Thor), to a badder guy (Avengers), to kinda a good guy but still doing bad things (Thor 2). It could take only a couple more steps before he is fighting with the Avengers right beside his brother, Thor. I don’t think he could ever be Good with a capital G, but he could at least be kinda bad but in our favor. If there’s anywhere you want a dashing, maniacal genius who’s always twelve steps ahead of everyone else, it’s on your team. Heimdall, open the bi-frost. I need to have a word with my boyfriend. Anyway, I am going somewhere with all this. A while back I stumbled on a subscription delivery service called Loot Crate. Once a month, for how ever many months you choose, Loot Crate will send you a box of geeky goodness. In case you didn’t know, I am a bit of a geek. I’m a second generation Trekkie and I have a VIP card to the Mos Eisley Cantina. I love most anything sci-fi themed and adore the Marvel Cinematic Universe. So I really liked the idea of Loot Crate, but hadn’t signed up because it was such a frivolous expenditure and I was worried the box would have more gamer stuff (which I’m not really in to) than geeky stuff. Exactly what’s in the box is a surprise, but you are guaranteed a t-shirt (which is worth the price of a one month subscription in itself) and various other toys, stickers, trinkets all with a geeky/gamer sensibility. You do get a hint, though. Each month’s box has a theme. Well, when I saw that July’s theme was Villains, I knew the time had come to lay my money down. So in four days my box of baddie-themed prizes will be en-route to my door. It’s exciting! Like a gift from a secret admirer. That I had to pay for. But let’s be honest . . . don’t we all have to pay for secret admirers in some way eventually? Restraining orders don’t file themselves.